From the author of USA Today best seller The Girl with All the Gifts, a terrifying new novel set in the same post-apocalyptic world. 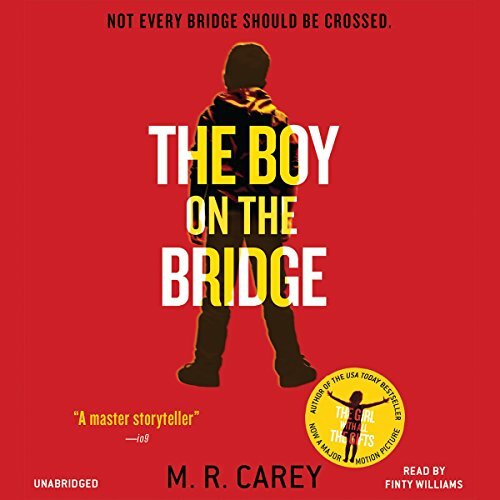 With the Boy on the Bridge, author Carey provides an excellent foreshadowing for his previous book the Girl with All the Gifts and Williams makes a wonderful voice for the narrative. Bridge is not so much a prequel, although it does take place before Gifts and incorporates some of its hardware, as it is a spin off. A crew of scientists and military are sent out of the last human strong hold in Britain to pick up samples, left by a previous mission that went missing. Their mission is to find a cure for the zombie plague (not really a plague but a fungus). The tie in is that the vehicle is the same armored RV (the Rosalind Franklin or Rosie) that will be used in Gifts. Inside the Rosie they cross country largely able to ignore the hungries. But, they can't ignore themselves and since they are basically locked in a box they eventually all end up at each other's throats or in each others arms. The underlying drama is that a coup back home results in conflicting orders and loyalties for the crew. Meanwhile, they are besieged by 2nd generation child hungries who pursue the Rosie after the body of one of their own is taken aboard for study. To the shock and surprise of the crew the little hungries cunning and abilities make them an even match for their well armed human adversaries. Overall a highly enjoyable read/listen. The only downside is that in the epilogue Carey makes it clear that he isn't interested in writing any more in this series by leaping ahead 20 years. In this short interaction at the end we get two decades in bullet form when it would have been a lot more fun to have read about it in subsequent books. TGWATG was one of my favorite books of 2014. I listened to it twice—and again after this one. The Boy on the Bridge has none of the character development and likeable charcters or (initial) mystery of TGWATG. 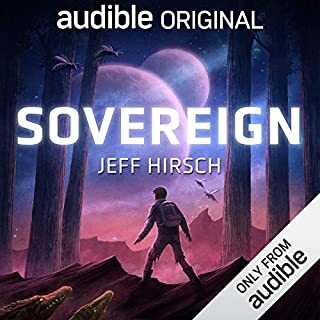 The writing was solid (as was the audio narrator) but I really didn’t connect with any of the characters, in part because the author doesn’t delve nearly as deeply into their heads as with the first book. With the characters that he does explore, I didn’t particularly like or dislike them. And Stephen…like unreliable narrators are all the rage these days, so are books with Aspergers or autism, and it took me till nearly the end of the book to feel anything other than annoyance with him. As for the story, it starts slowly and rolls along at that pace for the entire book. Great epilogue, however. At any rate, it was interesting enough to keep listening, I won’t return it, but won’t listen again. Did The Publisher Read The Same Book I Did? The publishers summary doesn't quite match up with the story. But I don't want to give any spoilers. Let's just say that the world didn't "open the gates and send the boy out to save them." This story was so infuriatingly bland and I would have been fine never knowing the prequel to "Girl With All The Gifts", which was a fantastic story. Boy On The Bridge might have made an interesting short story, but falls flat as a novel. Also, like many other readers, I loved Girl With All The Gifts, so this was a disappointment. Of course the narration and voice of Finty Williams was impeccable and beautiful to listen to. But I have to agree with the reviewer who stated 5 hours in and still nothing . The first hour was good especially due to the anticipation of going back to this incredible storyline. The next several hours were extremely boring, slow moving and every event was excruciatingly frustrating. Very few moments if satisfaction throughout the entire story. I did want to see it through hoping it would take a turn and it finally did- but not until the last hour and a half . The epilogue I have to say was beautiful . Emotional and finally satisfying. Almost made up for the painful experience of getting through this story - but not quite. Sigh...The Boy is definitely NOT The Girl. 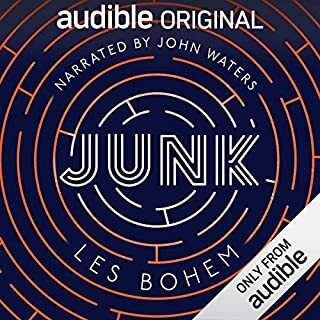 After listening to the transcendent TGWATG for the second time before listening to the TBONTB, The Boy was a crashing disappointment. 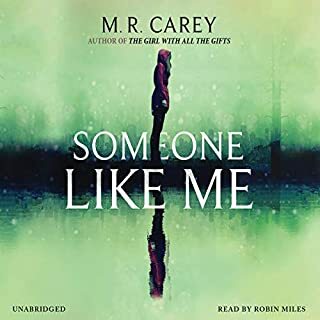 Where M.R.Carey went far beyond entertaining in The Girl and gave me wonderful days worth of things to ponder, The Boy didn't even hit the bar for entertaining. Leave aside the lack of deep questions The Girl explored so well without preaching, The Boy didn't even deliver on the basics of engaging characters and captivating plot. Until the epilogue, the only character I gave a flip about in this zombified world was Rosie the mobile science lab. 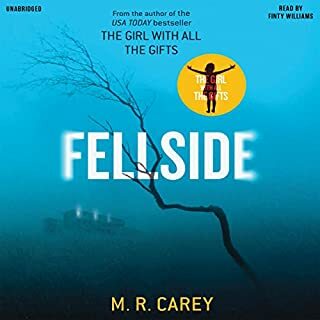 With stock characters and a plot line that rarely evoked much tension, I only finished the book because I kept hoping to find the Carey magic I loved from The Girl. If you are like me, you will probably pick up this book in spite of some negative reviews because The Girl was so, SO good. And it might be worth it in spite of its shortcomings. You will still find Carey's crafty way with words, you will still hear the lovely voice of Finty Williams, and the epilogue is wonderful. I'm not sorry I read this, but I do believe The Girl was better on its own without this disappointing prequel. As another reviewer quite rightly noted, although The Boy is mostly a prequel to The Girl, don't read this one first. If you do, you probably won't read The Girl and that would be a real shame! 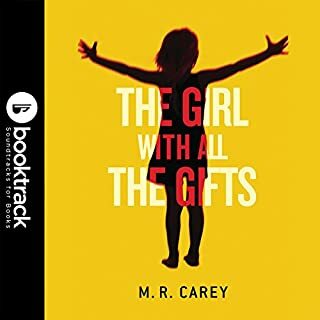 I'm not a big fan of zombie novels but I've always liked M. R. Carey's writing so I gave The Girl With All the Gifts a chance when it was published and enjoyed it very much. The Boy on the Bridge is a solid follow-up to that book, although it takes place prior to the events of it's predecessor. Carey wisely avoids dwelling too much on "zombies" in this book (technically, they are infected humans called "hungries"—alive but cannibalistic). He keeps the focus squarely on his human characters, particularly Greaves, the titular boy. There are rewarding references to the The Girl With All the Gifts but The Boy on the Bridge can easily be enjoyed on it's own. It features action, drama, some unsettling horror and a central mystery that's pretty effectively revealed, all read effectively by Finty Williams. A road trip to nowhere. A crew of scientists and military types drive around in an armoured RV in search of "hungries," bickering and pontificating the whole time. Then, toward the end of the book (are we there yet? ), some interesting stuff happens. Well-written, but boring and disappointing, especially after TGWATG. (I couldn't make it through Fellside.) Is M R Carey a 1-hit wonder? I wish this book was more connected to 'the girl with all the gifts' instead of just running parallel, but never really coming together until the last chapter. I loved The Girl With All The Gifts and had high hopes for this sequel but I'm five hours in and still have to make myself listen. I'd hoped it was just a slow start but five hours is way past the starting point. I'm going to try to finish it, but I'm disappointed to say I honestly don't know if I'll be able to. Worth a listen, but much slower than the first. I love The Girl With all the Gifts and listen to it all the time. 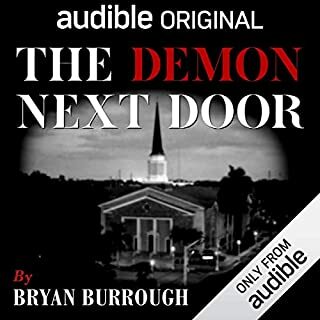 While this book is set within the same world and gives us a deeper insight into it, it's not as captivating of a story. Most of the characters we follow are scientists, so there is a LOT of scientific explanation ... not exactly gripping stuff. The last few chapters pick up and make the rest of the book worth it.